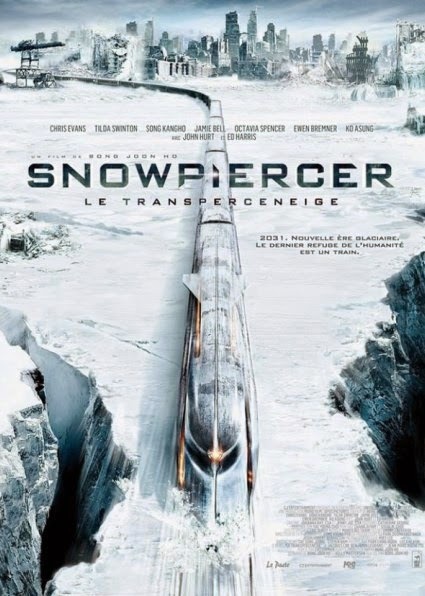 Snowpiercer, gifted Korean filmmaker Bong Joon-ho’s adaptation of a French graphic novel and his English-language debut, is a dystopian and futuristic sci-fi thrillers. With the world made inhabitable due to freezing temperatures, the last surviving members of the human race have become passengers in a train driven by a perpetual engine. The elaborately designed train, which is a closed ecosystem, provided a stark but over-emphasized metaphor for society’s class system where the rich enjoy at the cost of the poor. Thus, as can be expected, the rich wants to ensure continuance of the status quo while the poor wants to challenge it, with use of violence being a necessary tool for both the sides. Despite the massive odds placed before him, Curtis (Chris Evans) isn’t deterred from sparking the latest armed revolt to take control of the train and reverse the scenario for residents of the rear section who are forever at the receiving end of oppression, injustice and punishments. It also stars John Hurt as a wise but old and crippled leader of the Tail Section, Tilda Swinton as the grotesque enforcer for the Front Section, Song Kang-ho as the man who’d designed the train’s lock system, and Ed Harris as the leader of the Front Section. The train’s interiors were marvelously designed, with the grimy, grungy and claustrophobic art décor of the tail section providing for striking visual juxtaposition to the front section. The fast-moving script, except for the rather stretched climax, ingenuity of plot and nicely choreographed action sequences, added to the thrills. However, this would possibly rank as Bong’s weakest work so far, with the plot-holes, ludicrosity of proceedings, and lack of characterizations restricting it to just a muscular genre exercise. In Budapest Tales Szabo had used a train bogey and a group of travelers to present a marvelous sociopolitical allegory. 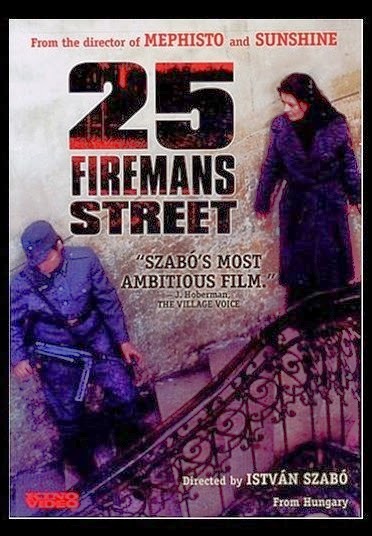 In 25 Fireman’s Street he did that with the help of a crumbling building block. Even if it wasn’t as powerful or as eminently watchable as the former, the metaphors were nonetheless potent. It provided an incisive chronicle for dark times of Nazi-occupied Hungary and the equally bleak post-War Soviet Bloc years, through the imposing but dilapidated apartment complex and its bunch of tragic, idiosyncratic residents, further stressed through the infusion of surrealism. The residents of the house located at the titular address in Budapest are regular folks – their physiological and psychological ailments, bouts of loneliness, moments of love and heartbreak, fears, grief, hopes, loss, the desire for physical touch, and so forth, provided an intensely personal portrayal of the ensemble cast. However, it never became just a collection of personal tales, as the outside turmoils added both drama and rich context to the story – political affiliations made some turn into active or passive partisans, some into lunatics, and others flee at the first opportunity, divisiveness led to conflicts, and hiding of people and stuff from the secret police was a regular feature (various fellow-residents requesting one of the ladies to validate on paper that they never revealed that she hid someone close to her, and, at the end, she requesting people to return the stuff she’d kept with them, made for poignant moments). 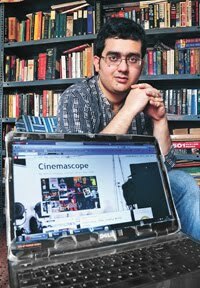 The narrative style, however, didn’t make for easy viewing – it regularly jumped back and forth across time, often veered between dreams and reality, and never provided easy answers or explanations. 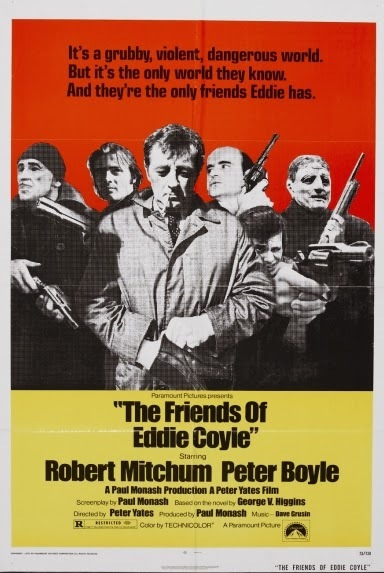 The Friends of Eddie Coyle, directed by Peter “Bullitt” Yates, is a melancholic, downbeat and character-driven crime drama laced with grim plot developments, harsh realism and fatalism. Adapted from the debut novel of George V. Higgins, who’d also written the source novel for Killing Them Softly (viz. Cogan’s Trade), the film transplanted the author’s love for rambling and discursive narrative style to provide a grim look, shorn of sentimentality and romanticism, into the bleak, chance-ridden and thoroughly unfair world of gangsters, particularly the ageing little fishes in the unforgiving big pond. 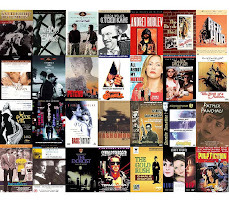 The titular Eddie Coyle (Robert Mitchum), a middle-aged gunrunner in Boston’s organized crime sector, despite being well-connected on account of having spent his life in this arena, never managed to make it beyond the middle-rung or ensure sufficient financial backing for his family. 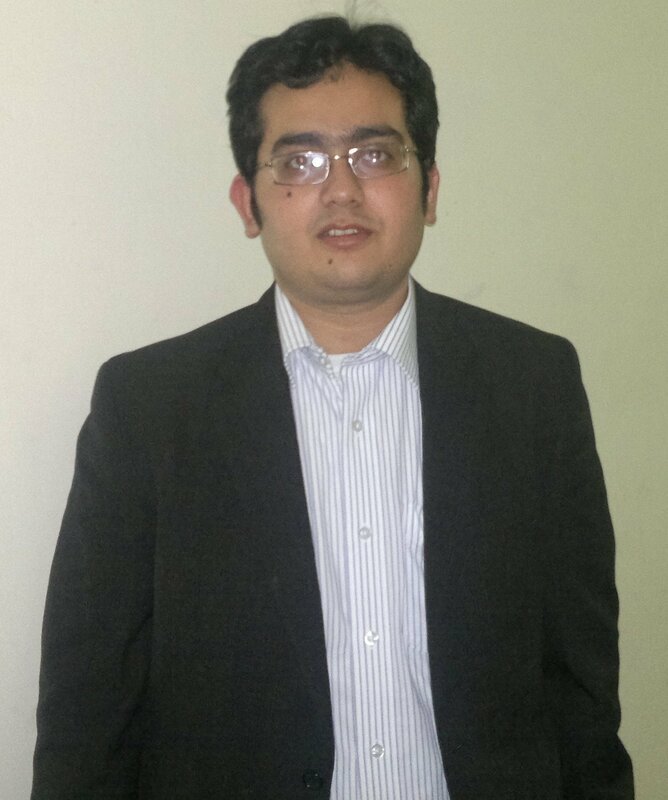 Consequently, when faced with a long tenure in prison and devoid of any godfather to help him out of the fix, he’s forced to become a part-time informant for the police in order to earn a favorable verdict on account of services rendered. Meanwhile, a gang of masked bank robbers is conducting heists with clinical efficiency, and when Eddie earns the damning, albeit false, reputation of ratting on his colleagues, his fate gets sealed. The most poignant aspect of the film lay in its tragic finale when Dillon (Peter Boyle), Eddie’s buddy and a professional hitman, is asked to neutralize him, he treats Eddie to an ice-hockey game, food and drinks before coldly executing the dirty job. Mitchum was marvelous as the weary, detached and down-on-luck protagonist, and the disconsolate mood was evoked with minimalist ease. It also comprised of a couple of brilliantly staged heist sequences. 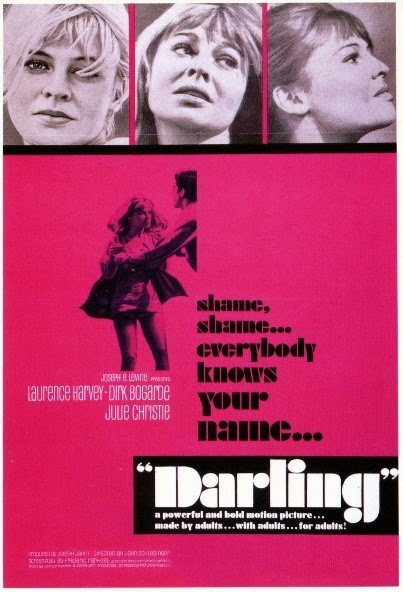 The knockout Brit New Wave film Darling provided a fascinating peek into the cultural mores and zeitgeist that 1960s symbolized, along with a biting and provocative critique on the vacuous lifestyles of ‘the rich and the bored’. With its marvelous exploration of the shallowness, aimlessness, ennui, excesses and associated existential dilemmas among the upper-class, it could be identified as Britain’s reply to Fellini’s La Dolce Vita, while the French Nouvelle Vague influenced its freewheeling tone, breezy narrative and stylistic aspects; and the resultant film was a mischievously delightful watch with melancholic undercurrents. Narrated in flashback by the film’s incredibly beautiful, impulsive and ultimately tragic principal protagonist Diana Scott (Julie Christie), it chronicled her unpredictable journey over a number of years, and her tryst with infidelity, aborted pregnancy, love, marriage, sexual escapades, fame, media glare, boredom, loneliness, and futile attempts at reconciliation at various stages of her life. Among the various men in her life, the 4 who stood out were – Robert (Dirk Bogarde), a television reporter, the only person Diana has possibly ever loved, and the film’s moral backbone; Miles (Laurence Harvey), a powerful PR shark who introduces Diana to a world of empty hedonism and unlocks the rebel within her; Malcolm (Roland Curram), a gay photographer with whom she experiences carefree fun and platonic friendship for the first time; and Cesare (José Luis de Vilallonga), an aristocratic and much older Italian millionaire who provides her with an easy but ultimately self-defeating escape route. The dazzling B/W photography of the Swingin’ London backdrop, and the score, which transitioned from terrific jazz numbers to softer tunes to accentuate the progression from discordance to placidity, added to its vibrancy and vitality. 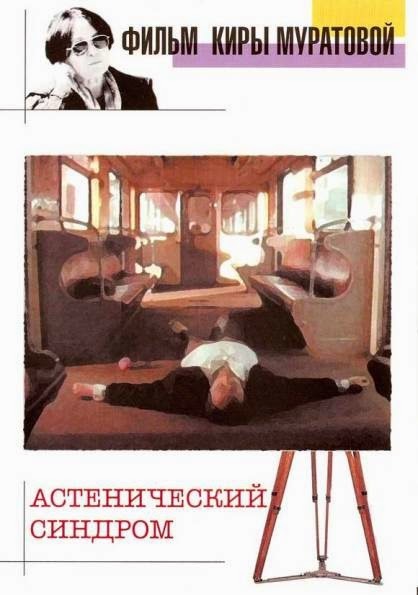 The Asthenic Syndrome, Kira Muratova’s audacious, darkly comic and decidedly obscure magnum opus, is considered as one of the most important films to have come out during the Perestroika years, even if, ironically, it was censored and almost banned by the state in direct contradiction to what the term Glasnost stood for. Though not an easy film to watch, leave alone comprehend – facets that have made this a criminally under-watched film, its anarchic power, subversive wit, lacerating humour and underhanded sociopolitical commentary are immediately palpable. In an interesting decision that also added self-reflexive touches to the proceedings, the narrative was divided into 2 unequal halves – the 1st a film within a film, and the 2nd the film itself – both chronicling collective stupor, ennui and neurosis of the most rabid kind, reflecting the kind of stasis that Muratova perceived Soviet Union to be in. The 1st segment, shot in faded and sepia-toned monochrome, is a 40-minute short about Natasha (Olga Antonova), an attractive middle-aged lady whose sanity and stability come crashing down when her husband, an eerie Stalin-lookalike, suddenly dies. The 2nd segment, shot in colour, comprised of a host of idiosyncratic characters, with the principal among them being Nikolai (Sergei Popov), a middle-aged high school teacher afflicted with narcolepsy. The 2 segments, therefore, blurred the line between the reel and the real. Despite the kind of gleeful ludicrosity that the characters and their social interactions were laced with, the tone was decidedly bleak and morose, thus stressing on the wryly funny but essentially dismal ironies that Soviet life had come to be.